The obvious intent of Hikemtshasta.com is offer the most complete coverage of the exceptional hiking opportunities on and around Mount Shasta. It is not my desire to overextend the site or to deviate from its core purpose of covering the trails in the immediate Mount Shasta area. However, there are several amazing places within easy reach of Mount Shasta that are exceptionally scenic and deserving of thorough documentation. The focus of Hikemtshasta.com will always be on the great mountain’s close vicinity but it would be a shame if the other regions in Mount Shasta’s outer orbit were left unacknowledged on this site. The difficulty comes with trying to meet the goal of being exhaustive. There are a few thousand miles of trails in the surrounding wilderness areas and other destinations. Documenting all of these routes is a massive undertaking and will certainly be a very lengthy endeavor. Still, if for no other reason than to raise awareness of the outdoor resources and stunning landscapes found in the California Northstate, it seems like the natural move to expand Hikemtshasta.com’s scope. Chief among the extraordinary areas a little further afield from Mount Shasta are the vast and spectacular Trinity Alps. The eastern fringe of the Trinities are only 30 miles to the west and are prominently visible from numerous trails in the Shasta area. 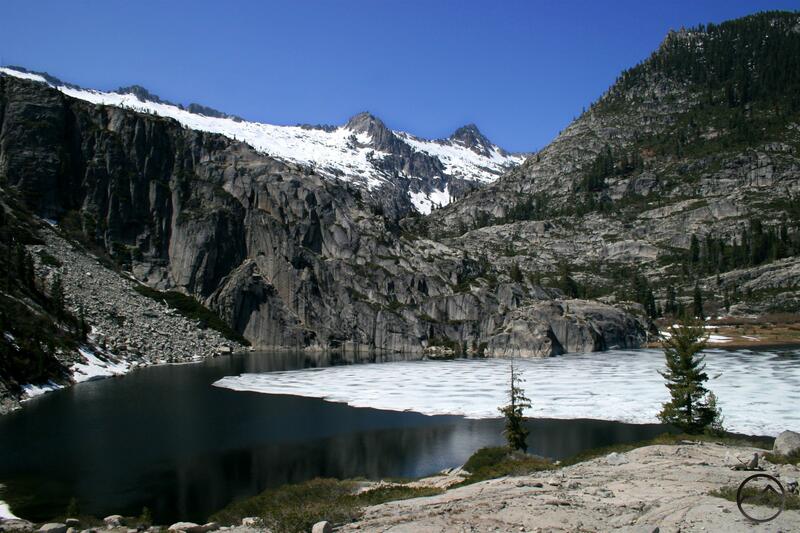 These mountains are part of the expansive Trinity Alps Wilderness, which is just under 550,000 acres. This is one of the the most wild and rugged regions in California and a place so vast it is easy to lose oneself in the backcountry for weeks. The mountains are exceptionally scenic with huge granite peaks, deep glacially scoured canyons and valleys, dozens of alpine lakes, extensive alpine meadows, unusual bright red peaks all combined with a sense of deep isolation. For the first post on trails in the Trinity Alps, the obvious choice was the Canyon Creek Trail. It is the most popular trail in the Trinities and it is certainly one of the most scenic. 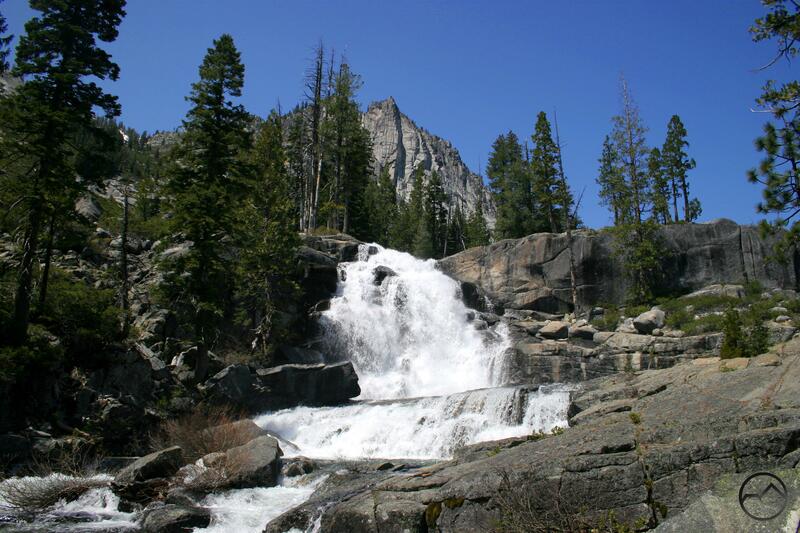 This trail has it all: massive granite peaks, a large, roaring creek, huge waterfalls, meadows and gorgeous alpine lakes. This trail is one of the finest in all of Northern California. 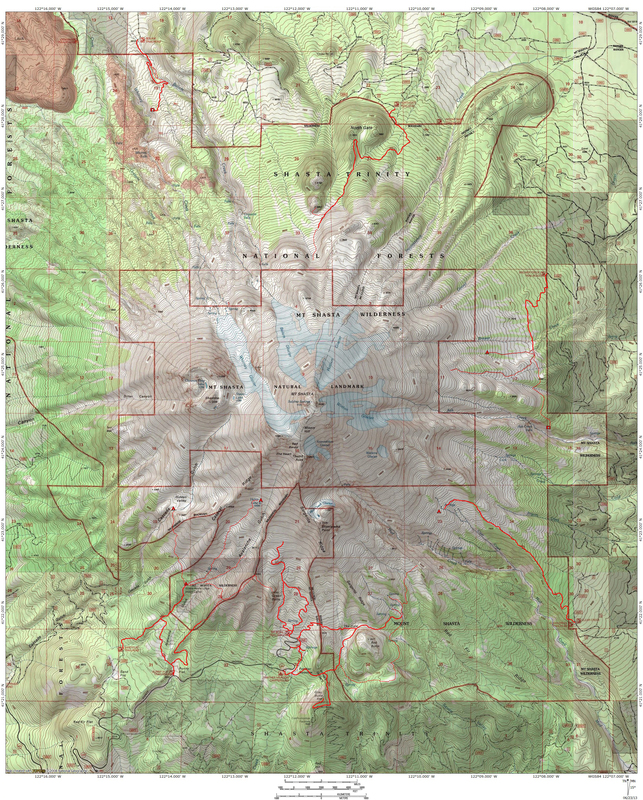 Although I do not have a timetable for the rollout of additional areas that will be covered on Hikemtshasta.com, I plan on covering hikes in the Marble Mountains, the Siskiyous, the Warner Mountains, the Modoc Plateau, the Lassen area and the southern Klamath Mountains, which includes the Yolla Bolly Mountains. I may even expand into southern Oregon a bit. All of these will be found under the “Further Afield” category in the “Trails” drop down menu and and at the bottom of the trails listed in the sidebar. This is a pretty daunting task that will be years in the making, but I hope that it will help folks appreciate this part of California and make great memories in the area’s majestic mountains. ← A Mount Eddy Wilderness? I’ve never been out here, but it looks amazing. I’m going to have to extend my travels a bit to here, but it definitely seems worth it. Thanks for sharing!